I had a kitchen flop last week and it turned into the most delicious mac n cheese ever so I decided it was time to update this recipe! I hope you enjoy the few tweaks and edits. My big fat mistake actually was a dream come true because this recipe is so much easier to make than before. Fewer ingredients + Faster cook time + Less pots to wash = Winning! 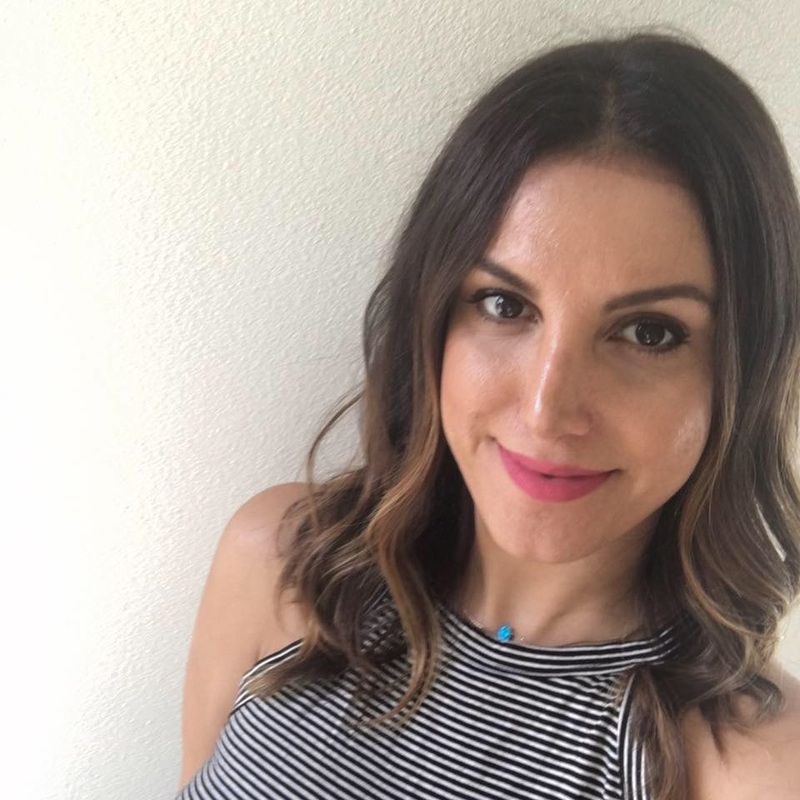 I love trying new products and this week I bought something super cool from my favorite place in the world, Trader Joe’s. They have this new crinkle cut butternut squash and it’s nothing more than a cool ripple cut raw butternut squash. As soon as I saw it my creative juices were flowing. I immediately thought “CRINKLE FRIES!” then as my mind was spinning I thought, wait a minute, this kinda looks like a noodle. Let’s do a creamy crinkle butternut squash pasta! Right?! WRONG!! Moral of the story: Next time you make a mistake just make mac n cheese instead! 2. Saute the b’nut squash in a saute pan over medium – high heat for about 15 minutes flipping over every so often to get it nice and brown on all sides. 3. When your b’nut squash is fork tender but not quite cooked through, pour 2 cups almond milk into the pan and bring down to a low heat. Cover and let simmer. 4. Once it’s almost completely softened and falling apart in the pan, add nutritional yeast, turmeric, smoked paprika, salt and pepper and stir well. Then add Tofu Ricotta and stir until it’s well incorporated. This will look horrible, don’t worry! 5. Turn off heat and set aside to cool down. Once it’s completely cooled throw everything in a blender/nutribullet and blend until it’s silky smooth. Add more liquid if needed to get the smoothest texture possible. 6. Now the fun part! 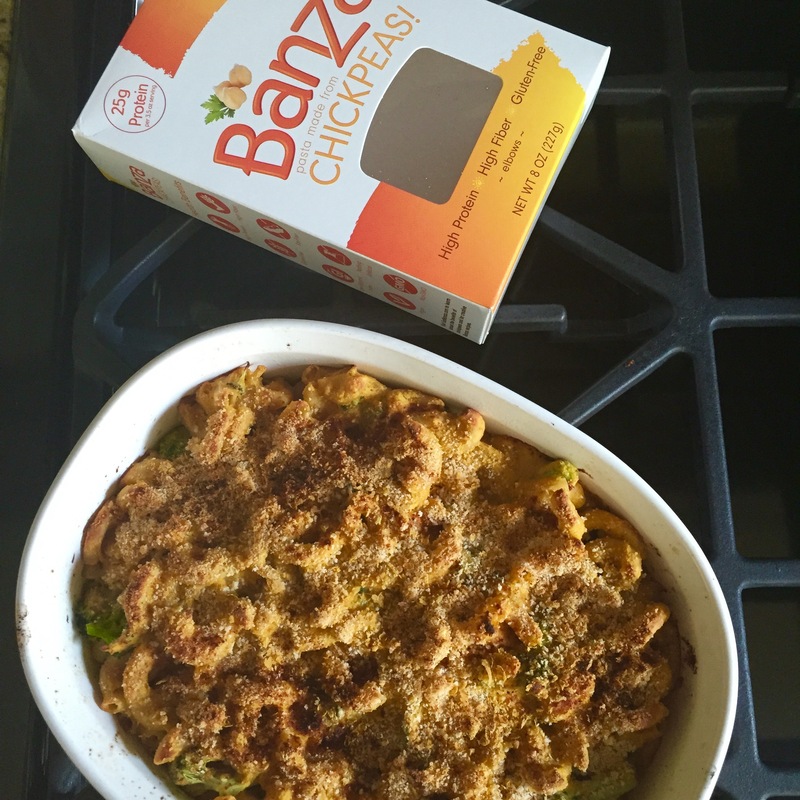 Get yourself some Banza Chickpea pasta here or regular elbow macaroni. Bring water to a boil, add salt and olive oil. Drop in your pasta and stir every so often for 3 – 5 minutes. Yup! That’s it 3 – 5 minutes is all it takes to cook up this amazing protein packed chickpea pasta! 6. 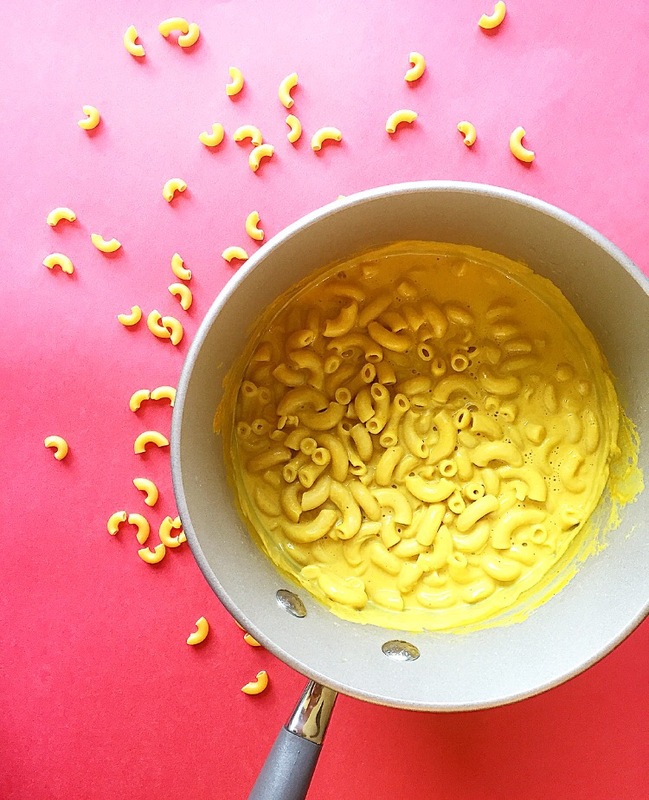 Throw your pasta back in the pot and pour your CHEEZY B’nut sauce over it. Mix well and heat on low until sauce is bubbly and hot again. 7. If you like your mac n cheese baked, you can just throw this into an oven safe casserole dish, top with panko bread crumbs and bake for 10 minutes at 425 degrees and broil on high for 5 minutes until the tops are toasty & browned. That’s all folks! 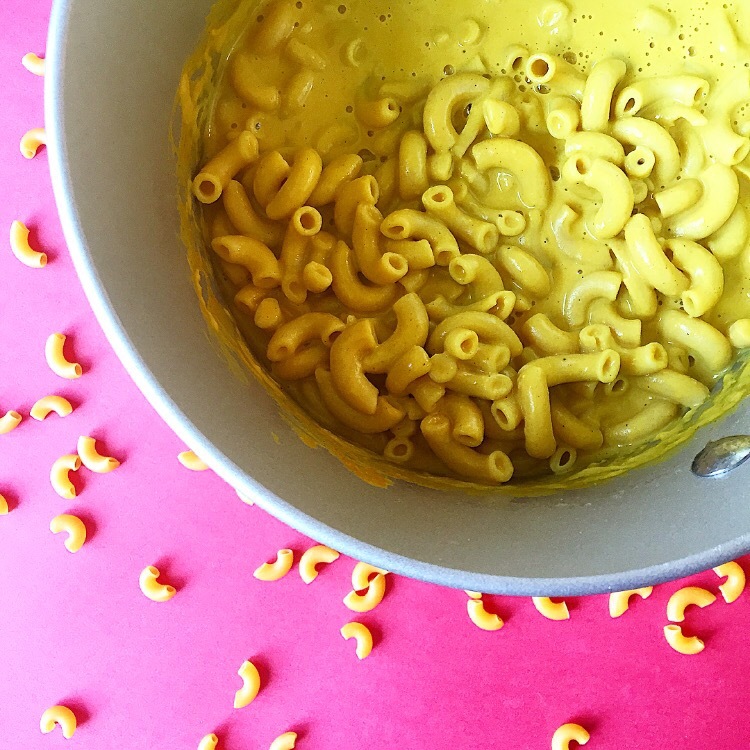 The creamiest dreamiest mac n cheese that you can enjoy anytime! 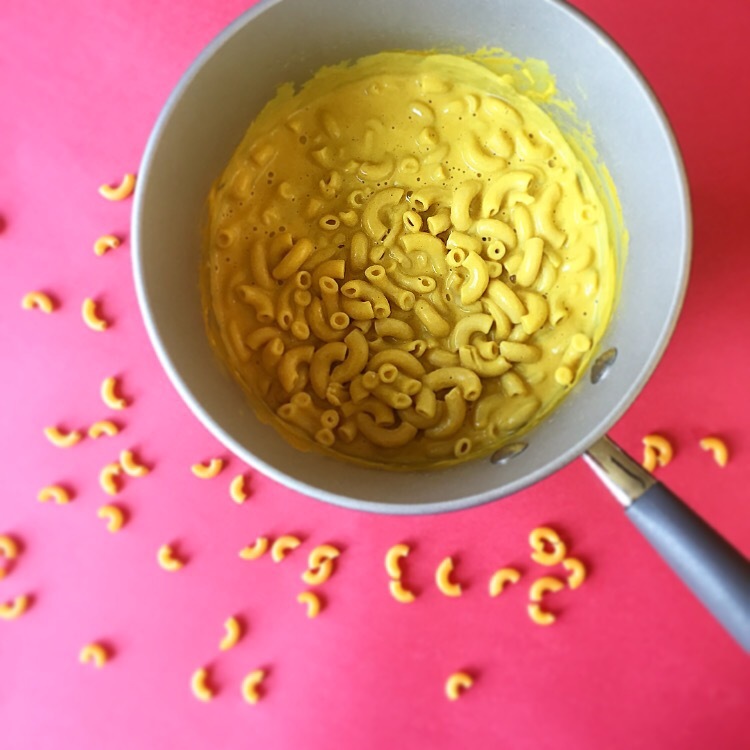 Maybe you thought it was impossible to make mac n cheese without any cheese and you definitely thought it was impossible to find pasta that is jam packed with protein, gluten free, low carb, & vegan. Well we’ve done them both here with the help of my friends at Banza! The only thing better than eating Mac n Cheese on a monday is eating Mac n Cheese on a Monday, GUILT FREE! Oh my gosh you have to try it! You’ll be hooked! Vegan mac n cheese is LIFE! ❤ I'm definitely gonna try this recipe, it looks so nice and creamy holy..! Thanks for sharing, great post :D!